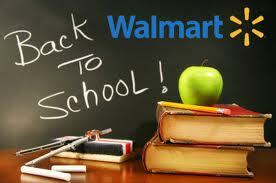 So, tell me - how do you outfit your student with all of the technology they need to start the school year off right? Whether you’re sending your child away to college, or getting them prepare for their first year of high school, HP has a variety of technology products that are sure to have any student prepared for a new school year. We are home schooling my oldest son this year for the first time and I have to admit it was a bit confusing to try and make sure we had everything he needed to make this school year the best yet. The biggest expense we were looking at was of course a computer. I wanted something reliable and yet simple enough for him to use on his own. 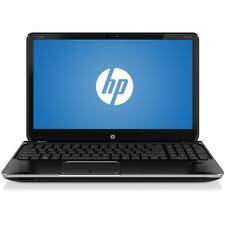 The HP Pavilion dv6-70929wm is one of the best entertainment PC Walmart shelves. With a sleek, tapered metal design, it's easy to pick up. And with cool features like Beats Audio amplified by quad speakers and a subwoofer, it's tough to put down. With school assignments this laptop also has a huge hard drive! This HP Pavillion can store 500,000 photos, 214,000 songs or 395 hours of HD video and more! Now to go along with his computer, of course we needed a printer. Especially home schooling, he will need to print out assignments, syllabus, his schedule and so much more. We have around three computers already in the home. All with a different printer attached. Now I'm not too tech savvy, but when I heard there was such a thing as a wireless printer so that we can have all our computers and phones hooked up to print from this one printer, I was pretty stoaked! 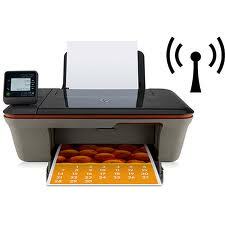 With an HP e-Print wireless enabled printer you can now print from your smartphone or tablet from virtually anywhere! Your children can send photos and assignments from the classroom right to your HP ePrint printer at home by simply sending an email. This printer is also great for teens going away to college! You can share photos and recipes with them in their dorm room. Stay in touch with your students with HP ePrint. Totally Love It!!! Back-to-school means lots of printing! HP's XL ink cartridges fit in your printer like HP's regular cartridges, but they hold more ink! The best part is they are now available at Walmart and Walmart.com/HPink so you can stock up on ink when you buy groceries. You can save up to 40% on printing with HP's XL ink cartridges. That's a great value any mom can appreciate! So I hope this helps a bit, I know it can get crazy around this time of year, but it goes by so fast, sooner or later you'll be wishing they were young again. Cherish it and the opportunities you have with your children....life is too precious! **Disclosure: I received a Walmart gift card as part of a promotional program with MomSelect.